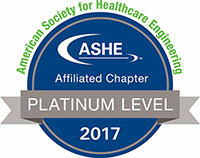 Steve Shaw's contributions to the New Hampshire and New England Healthcare Engineers' Societies are numerous; serving as past president of the NH group, NEHES NH Chapter Representative and co-chair of multiple NEHES fall conferences. Shortly after his retirement, he was diagnosed with ALS in March 2015 and passed away in April 2016 at the age of 65. Online registration has closed for this event. Onsite registration will be available for $100. Ticket includes: Lift Ticket/ Adventure Pass (includes tubing, zip-line, snowshoeing, and ice skating, weather permitting), Breakfast, Lunch, Apres, Raffle & More! We have discounted rooms at The Mountain Club at Loon! To make reservations at the discounted rate, rooms have to be reserved by 1/10/2019. Please call 603-745-2244 and mention you are part of the "ALS Association Benefit Outing".